The evolutionary processes at work within us require a careful balance in order to function properly. Kundalini is the guardian of human evolution, and is the same mechanism responsible for enlightenment. In this webinar, Swami Mounamurti, founder and chairman of the Kundalini Research Project, presents the anatomy of a Kundalini awakening according to the ancient science of Yoga. Practical tips and specific yogic practices will be introduced which will help you balance the two hemispheres of your brain and nervous system. By balancing the nervous system, Kundalini energy is allowed to flow freely through the body, supporting a healthy spiritual development. These practices are important for those undergoing a Kundalini awakening, but anyone will find immediate benefit from them. Mounamurti will also provide an overview of the Kundalini research being proposed by the Kundalini Research Project, and how this knowledge will benefit the entire human race. Mouna had an out of body experience as a child, and was later briefly introduced to Yoga as a teenager. Commenced seriously exploring Yoga Sadhana in 1981, and after five years of intensive Sadhana experienced the Darshan of Swami Satyananda Saraswati. On this same morning in July 1986, whilst in meditation Mouna experienced the inner dimensions and the awakening of Kundalini for the first time. Mouna is the founder of the Kundalini Research Project, an organization dedicated to Kundalini research based in Sydney, Australia. I’m really looking forward to this Webinar. The speaker’s language is very blocking and misses talking exactly about the proposed subject rather talks more about the project and seems he is reading from the ppt than talks out of his own experience. But question and answers were very informative..I would like to share my full kundalini awakening experience including initial pathetic phase after awakening and changes in bodily life back in 2009 thru guru krupa and Kriya yoga ,swaadhyaya and all aftermath of my life.I can also share my kerlian photograph report after this process taken in year 2013. Bala, the best way you can share your experience of awakening would be to participate in the Kundalini Database Project. The data you provide is extremely important for our research, and will help us unlock the secrets to this divine and sacred power in us all. Thank you Michael for this webinar. I would like to share my experience of Kundalini awakening. Also, I wish that all of people were able to recognize their own experiences without any doubts and fears, following their own intuition. I must say the subject of “kundalini” is not enough explored (not as from religion point of view) as a universal energy developed in many individuals. People usually get confused during the proces, that’s why I am grateful to learn more about it. Thank you! Wonderful that we have you in Australia! 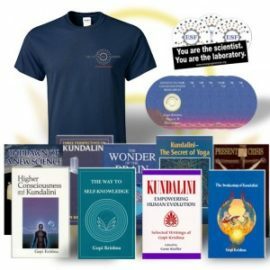 Can’t wait for details of the scientific Kundalini study! I had a kundalini awakening many years ago but I’m not sure if I have managed to integrate it into my everyday life. Just like the Jewish legend of the 4 rabbis who had a spiritual awakening: Four rabbis entered paradise — one rabbi looked and died; the second looked and went mad; the third destroyed the plants and only the fourth rabbi entered in peace and departed in peace! I hope I’m like the fourth rabbi but how can I be sure that I’m not the second rabbi who went mad because this experience is so unusual and modern psychology/psychiatry don’t understand it! 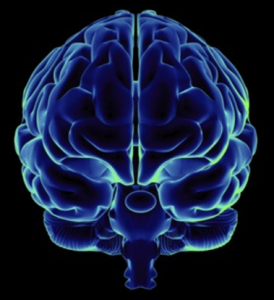 Do you have any information on that aspect of the experience……the integration? It’s like the mythical hero’s journey where you experience the wonderful Quest but then the hero has to return to his previous life and finds it hard to stay because nothing comes close to the magic of the awakening and the quest! Just like the Zen quote ‘Before enlightenment chopping would and after enlightenment chopping wood”!!! Do you have any information on that aspect of the experience……the integration?